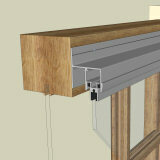 Our Fixed secondary glazing units are the most inexpensive and easy to fit style of secondary glazing we offer. An effective method of reducing noise and heat loss, and considered to be the most easily reversible change. It has pre-drilled countersunk holes and is very popular in conservation areas, especially in leasehold properties where changing the existing windows maybe uneconomical or an impossibility. Fixed secondary glazing is part of our economy system and is the slimmest style of secondary glazing we offer, at just 20mm wide. The wool pile on the back of the frame helps create a good seal between the existing window, preventing draughts and blocking out sound. 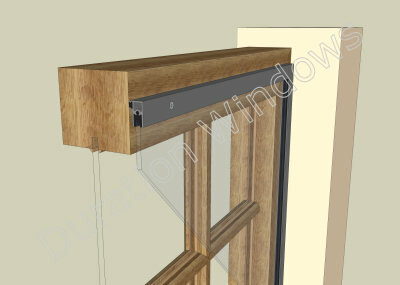 They have no opening mechanism, no subframe and is simply face fixed directly onto the existing windows. This style of secondary glazing will provide no access to the prime window. 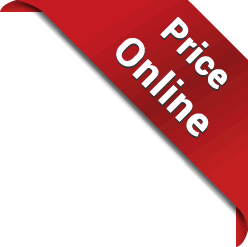 The most cost effective, easy to fit and slimmest style of secondary glazing we offer. Ultra slim, discreet and unobtrusive fixed frames. Just 20mm wide by 12mm deep all round. Variety of glass types are available to tailor our secondary to your individual requirements; be it retaining heat, reducing external noise or increasing security. 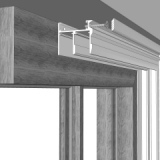 Can take single glazed units up to 6.8mm deep. The frame is available in any of over 200 different RAL colours. Although Fixed secondary glazing is considered to be part of our Economy system and functions in much the same way (i.e. it is a face fix system with no subframe), there are some notable differences. 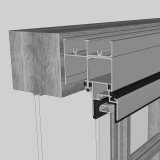 For example Economy Fixed secondary is simply an Ultra slim ‘Fixed’ frame, made from a single piece of 20mm wide profile and has no odd leg or flange for fixing through. 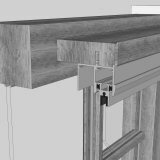 It is pretty much a system in its own right, designed specifically for the purpose of being used as fixed secondary glazing. Fixed units have no odd leg or aluminium flange. With pre-drilled countersunk holes, making it very easy to install.